Waste Heat: Heat rejected or escaping from furnaces of various types (as coke ovens, cement kilns, or steel furnaces) after it has served its primary purpose. Wet Bulb Temperature: Temperature at which no more evaporation will occur, and thus no further decrease in the temperature. The air will continue to cool until the air can evaporate no more moisture. Dry Bulb Temperature: Temperature of air measured by a thermometer freely exposed to the air but shielded from radiation and moisture. DBT is the temperature that is usually thought of as air temperature, and it is the true thermodynamic temperature. Carnot cycle: An ideal heat-engine cycle in which the working substance goes through the four successive operations of isothermal expansion to a desired point, adiabatic expansion to a desired point, isothermal compression, and adiabatic compression back to its initial state. ​A cooling tower is a heat rejection device. Its basic purpose is to pull in hot water used by various machines and cool it down so it can either be re-used or evaporated. The re-use of cooling tower water is called working fluid. An air conditioner is an example of a system that would need a cooling tower. 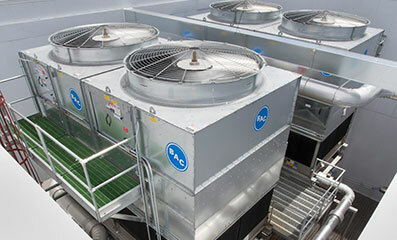 Many schools, hospitals and large office buildings will use a HVAC cooling tower to dispose of unwanted heat in the chiller. In other words the cooling tower helps reject the hot water. One of the biggest pros to a water cooling tower is that you are being more energy efficient. This is due to air cooled towers need to reject heat at a higher Dry Bulb temperature, they then, have a lower average reverse carnot cycle. In turn making water cooled chillers more efficient due to the heat rejection at or near wet bulb temperatures. Should Commercial Properties Harvest Rainwater to Save Money? Installing a system to harvest rainwater on a commercial building can supplement a high percentage of the building’s non-potable water use. Commercial properties do not require as much potable water as households, since most of the water supplied is used for cleaning, irrigation, landscaping, flushing toilets or industrial purposes. 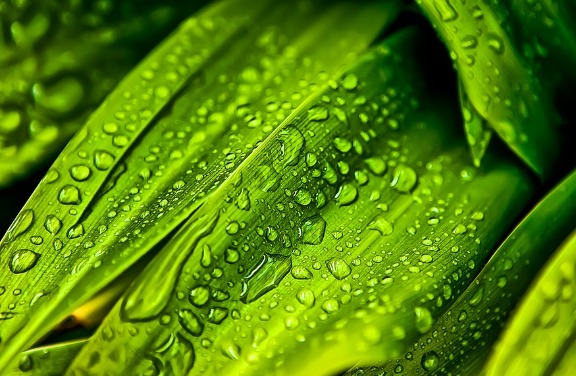 A rainwater recycling system could give commercial properties an advantage by saving money in the interim and presenting a long-term water solution with environmental benefits. In arid regions of the United States, groundwater supply has decreased rapidly. Depleted groundwater resources have greatly affected the Colorado River Basin, including Arizona, California, Utah, Colorado, Wyoming, Nevada and New Mexico. Experts have measured groundwater lowering at a rate of 5.6 cubic kilometers per year. Groundwater does not replenish quickly. It takes thousands of years to restore the supply. When an imbalance occurs in an area’s water resources, restrictions on water usage are soon to follow. Rainwater harvesting offers a concrete solution to groundwater depletion, especially for businesses that require hefty water supplies to operate. The most obvious perk to using rainwater is the cost: it’s free. No current restrictions bar the use of collecting, treating and reusing rain that falls on your property. The only cost is the initial installation of the system and regular upkeep and maintenance. Rainwater is lacking the chemicals and acids of groundwater. Whereas groundwater is hard, rainwater is soft. Without the acids contained in groundwater, rainwater will not have the same eroding effects on equipment. When large quantities of water from rain or melting snow run over streets, it is gradually contaminated. Storm runoff that makes its way to streams and rivers or seeps into the ground can contaminate local water supplies and have negative environmental effects. Collecting rainwater reduces detrimental storm water runoff, helping to negate this problem. Depending on your municipality’s regulations, rainwater harvesting systems may qualify for tax incentives and benefits, further reducing annual business costs. To harvest rainwater from your building, you will need a system tailored to your property’s specifications. The engineer will assess certain aspects of your building, including the surface area of the roof, the amount of annual rainfall in your location, and the regular water usage needs of the property. The systems to harvest rainwater vary from underground cisterns to above-ground tanks. For every inch of rain on 1 square foot, 0.6 gallons of water result. After one inch of rain on a 1,000-square-foot building, your rainwater harvest system would produce 600 gallons of water. For a geographic location averaging 18 inches of rain per year, 10,800 gallons of water could be reused for building operations. Investing in a way to harvest rainwater can provide businesses with sustainable, enduring water reserves. What Are the Benefits of Grey Water Recycling? Learning about the benefits of grey water recycling can help your business save money and preserve the environment. On average, each American household uses 400 gallons of water per day, according to the Environmental Protection Agency. A large part of people’s daily usage — washing their hands or flushing the toilet — may take place at your commercial property. You would not be a business owner or property manager if you did not consider ways to cut unnecessary costs. As the need for water conservation rises, some municipalities pass bylaws requiring commercial properties to limit waste. Have you considered investing in a recycling system? 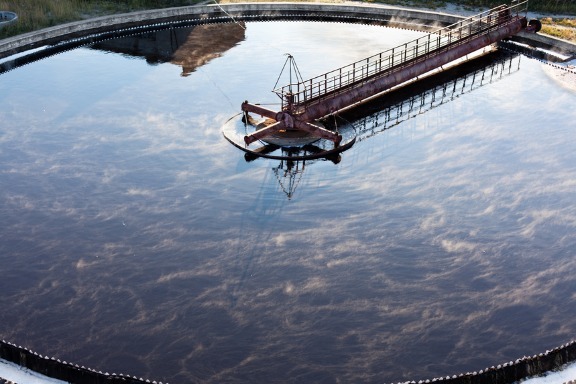 Not all wastewater is the same. Water used to wash hands in bathroom sinks, to clean floors, to rinse dishes in commercial kitchens or to supply industrial laundry machines is labeled grey water. Black water comes from toilets and has made contact with feces. One type is recyclable, the other is not. How is the Water Used? The term “recycled water” may cause some to flinch. There is no need for panic. First of all, it is fully treated to minimize any toxic risk. Government organizations have placed standards on recycling with strict risk management guidelines that are more stringent as the probability rises that it will come into contact with humans. To be safe, the recycled product is considered “nonpotable,” or not fit for consumption. Recycled water has a plethora of uses, with irrigation as the primary terminus. According to the EPA, it can subsidize 50 percent of a property’s irrigation needs. It can also be used as a coolant at power plants and refineries. It is used to flush toilets, mix concrete and fill some artificial lakes. Many industrial uses do not require water at potable levels, making grey water an excellent substitute. Keeping your company’s grass green in the summer might result in an astronomical water bill come fall. By allocating funds toward the installation and maintenance of a grey water recycling system, you could significantly drop next year’s charges to a much lower, more manageable rate. Recycling wastewater also diminishes the wear and tear on your sewage system. Reusing water means fewer gallons flushing needlessly through expensive piping systems. As groundwater stores deplete, it will take more energy for suppliers to transport water to your company’s location, translating to a price hike for you. A recycling system solves this issue, offering a long-term solution and a measure of independence from suppliers. It is also an edge of protection against drought. Environmental sustainability is not simply a buzzword, but the new way of life for the next century. Contact Innovative Water Treatment for more information about the benefits of grey water recycling, system installation and quotes based on your specific property’s needs. 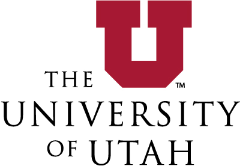 Innovative Water Treatment is now on the list of approved water purification and water treatment Vendors for the University of Utah. We treat all types of troublesome and contaminated water. We provide Turnkey Skid Systems for most applications along with being extremely cost effective compared to our competitors. How Does a Deionization System Work? 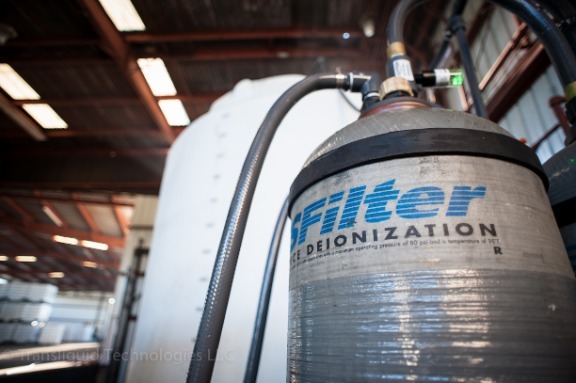 Water deionization is a vital step in the water purification process of multiple industries. Modern technological advancements in production processes require increasing levels of purity. A deionization system assists by removing and replacing sodium ions with hydrogen ions, resulting in ion-free water, fit for use in high-tech production or for the next step in a comprehensive water purification system. What Is the Purpose of the Process? Deionized water is used in a number of industries, including food and beverage production, auto body finishing, hospital systems, pharmaceutical production, textile and chemical plants and more. Deionization is normally only one component of a larger water purification process and is considered a polishing technique. It is not designed to trap and extract organic matter, bacteria or other unwanted particles. If it does succeed in purifying these substances, it most likely occurs through an accidental, circumstantial trapping of the materials in the resin exchange material. For removal of all salt, the water must pass through two different ion exchange materials. The first phase of the process involves the exchange of metallic ions then present in the water, such as calcium and magnesium, for hydrogen ions. This is the basis of a water-softening process as well, but in the first phase of deionization, all metallic ions are removed, rather than only calcium and magnesium. After passing through the first material exchange, the supply loses all sodium ions and they are replaced with hydrogen ions. The resulting fluid is positively charged with a high number of hydrogen ions and is then ready to complete the next stage of the process. The second exchange material involves displacement of current negative ions, referred to as anions. All anions in the water supply are replaced with hydroxyl anions. Through chemical processes, the negative hydroxyl bonds with the positive hydrogen to create water, eliminating all presence of ions in the water. Bed deionization systems are either separate or mixed. Separate systems direct the water through one resin bed at a time. Mixed-bed systems conduct ion exchanges simultaneously. Both types require a recharging of the resin exchange material after a certain amount of water has been processed. While both separate and mixed bed deionization systems exist, electrodeionization utilizes an electric field and reverse osmosis to achieve the same results, without needing to replenish the exchange material. The ions are transported through the system and removed, allowing for constant processing with no pause for system maintenance. A continuous electrodeionization system’s life span can extend over five years, depending on the industry and the size of the system. Other options include capacitative electrodeionization systems, in which the supply is processed in batches. Contact Innovative Water Treatment ​for the design, production and installation of a specialized water deionization system to fit the needs of your industry.